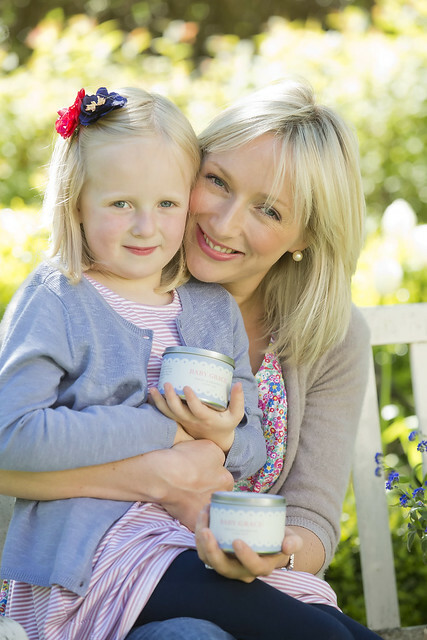 Our Baby Grace candle tin is special to me as it is named after my own daughter Grace, now aged 9, but it's also become a special candle for another mother, Sinead Fidgeon. Sinead contacted me after she'd given birth to her little girl - also called Grace. 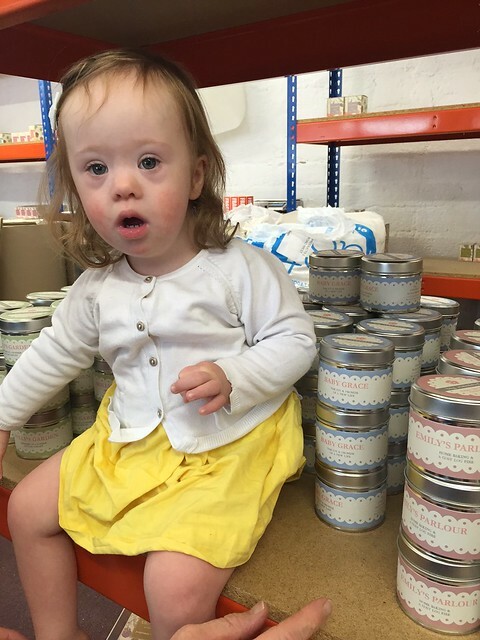 Grace was born with Down Syndrome and as a baby gift, a friend gave Sinead one of our Baby Grace candles. Sinead went on to purchase more of the candles from the Kilkenny Shop in Dublin as thank-you gifts for friends and medical staff following their support around the time of Grace's birth. Shortly after Grace was born, Sinead met another mum Rachel, whose little boy, Matthew was also born with Down Syndrome. 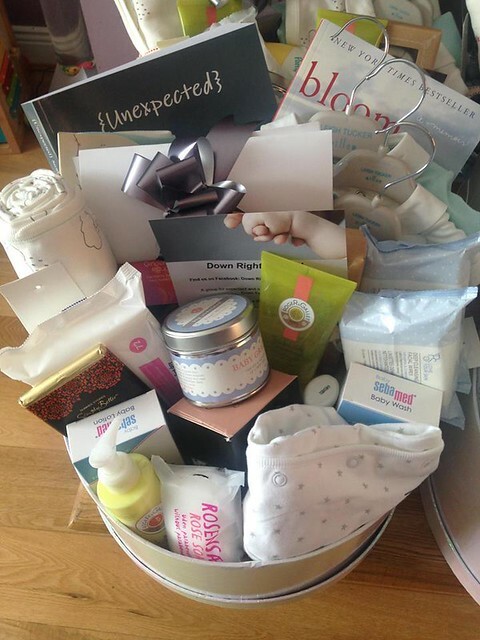 Upset by stories where family and friends had struggled to welcome Down Syndrome babies, together they set up an initiative to supply Baskets of Love to every mum who delivers a baby born with Down Syndrome in Ireland. The baskets are delivered by Sinead and Rachel to hospitals and contain books, resources, baby gifts and essential nursery supplies along with positive messages reminding the mother how perfect her child is and letting her know that there's a fabulous support network out there to help her, if and when she needs them. 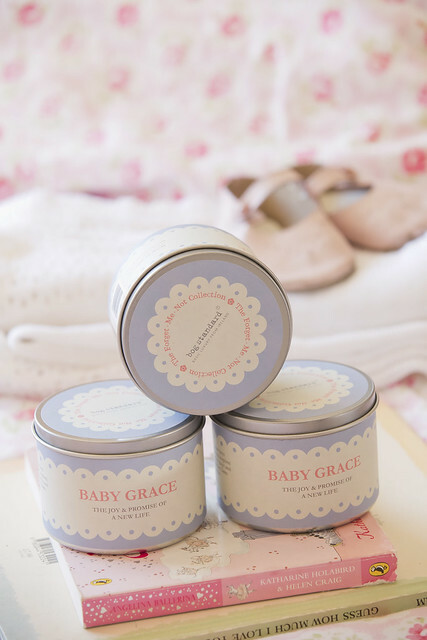 After her own experience, Sinead was keen to include a Baby Grace Candle in each basket and so she approached me to ask if Bog Standard could help her with this. My own daughter Grace was already thrilled to have a candle named after her but she was even more excited to share it with Sinead’s daughter, Grace and to be part of these baskets of love. So since last year, we have been supplying Baby Grace tins for the baskets and I feel blessed to be able to support such a wonderful initiative. It has been lovely to hear stories about the families who've received the baskets and the positivity and love they deliver. But the highlight was last month when we got a visit at our HQ from Sinead and her family including little Grace herself! She was a little charmer – full of affection and the most adorable smile. If you would like to support Sinead and Rachel's Baskets of Love, you can donate to their cause on this link and you can also find them on Facebook on this link. And to , for every candle tin sold between now and the 12th October, we will donate £1/€1 to Baskets of Love. They are priced at £9.95/€11.95 and you can see the whole range on this link.